The key points that Rash reveals about Resistance is that he describes his character as a "creature" and that his character and Bobby Moynihan's character "basically run the equipment check out area." He also compared their characters to Oscar and Felix from The Odd Couple, and revealed that one of their character's is named "Flex" as a nod to the famous play. 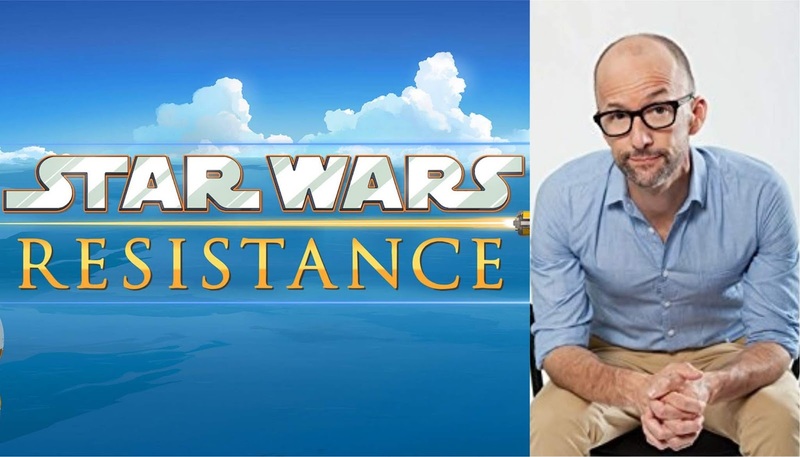 Star Wars Resistance stars Christopher Sean (Days of Our Lives), Suzie McGrath (East Enders), Scott Lawrence (Legion), Myrna Velasco (Elena of Avalor), Josh Brener (Silicon Valley), Donald Faison (Scrubs), Jim Rash (Community), Bobby Moynihan (Saturday Night Live) and Rachel Butera (Tammy’s Tiny Tea Time). The series will be executive produced by Dave Filoni (Star Wars Rebels) and is expected to premiere on Disney Channel this Fall.